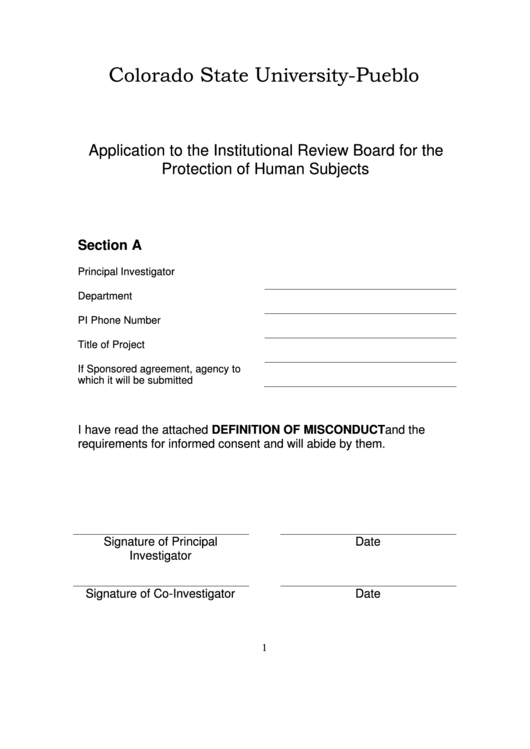 Download a blank fillable Application To The Institutional Review Board For The Protection Of Human Subjects in PDF format just by clicking the "DOWNLOAD PDF" button. Complete Application To The Institutional Review Board For The Protection Of Human Subjects with your personal data - all interactive fields are highlighted in places where you should type, access drop-down lists or select multiple-choice options. requirements for informed consent and will abide by them.